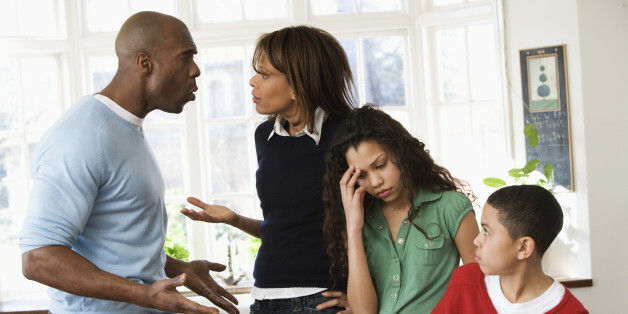 When an adult child’s marriage breaks up, his/her parents are often drawn into the fray. They are called upon to provide emotional, financial and sometimes, as with increased babysitting, even physical support. I spoke with several parents who have gone through it to see how they felt, how they fared, and how they would advise others in their situation to cope. With the divorce rate stubbornly hovering at around 50%, there’s an even chance that you will be able to relate. Did not feel guilty. I found surprisingly little self-flagellation among my respondents, even those who had been divorced themselves or whose child had been divorced more than once. A few said their child was too immature when he got married or went into it for the wrong reasons. Many more, though, thought either their kids’ marriage had been a bad fit from the get-go or it was the fault of the other spouse (who was usually described as “mentally unstable,” “troubled,” “dealing with many personal issues,” or, as one father put it rather more bluntly, “wacko.” While their child’s divorce led to some self-examination, by and large the parents didn’t feel they had played a role in the break-up. Rejected “failure” . . . The parents I spoke with did not feel their child’s divorce was a referendum on their own parenting or on their child’s moral fiber. “Divorce is the failure of an institution not individuals,” said Janey D. “My son was unrealistic, and the expectations failed. That’s the extent of it,” said Don P. Phil B. chimed in, “People make mistakes, childish mistakes, even when they’re chronologically not children anymore. Others are simply not suited for marriage or can’t seem to pick the right one.” I’ve also heard some therapists voice concerns that the younger generation simply doesn’t have what it takes to make a long-term relationship work. In Part 2 of this series, we’ll look at what the experts and parents say you should and should not do when your child divorces. Stay tuned . . .